Your wedding day is the most important day of your life and Lyndyloo and Team can make it even more special. We can offer free advice on the legalities of getting married here in Spain at the town hall or civil registry, catholic church or even a civil ceremony as well as weddings in Gibralter. 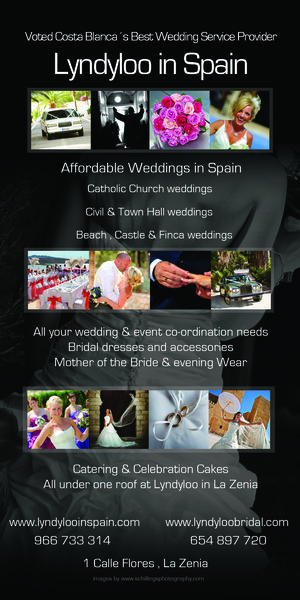 Offering legal civil weddings for both residents and non residents of Spain.